Awesome maps....hope they will be as interesting as your description is...can't wait to play!!! awesome looks verry nice will bot support be added over time or not at all? Ofcourse we hope to get it delivered asap, but as you know, FH2 is a hobby for us and not our daily job. Though sometimes it doesn't seem like it, when I look a Gavrants commitment. Keep on good work Gavrant! The waiting time has been worth every second. With Pegasus and Sammatus in this patch. Why would anyone want to play Squad or Finnwars ? I must say, Seelow Heights must be one of most atmospheric maps on FH2. I only played as russians and advancing to first flag was job as it is and then I see the hill with gun emplacements . We never managed to advance past third flag, but I can alrady see this map being rather well balanced, with quite strong russian armor that can really seize enemy movement, but on the other hand, enough cover for germans to still have a fighting chance. My personal favorite one is Arad. The atmosphere is very nice and almost every aspect of battle is available. Plus, there seems to be no balance issue, both Germans and USSR have a high chance of winning the map. And the detail is just incredible! Overally the new version rocks in every way. Thank you developers! I was wondering what the songs are called for each map, I remember one map has a song about Yankees but I can't remember which map nor the exact lyrics. Anyone who can lend a hand here? Thank you, Jan! That is indeed the one. Or maybe the farewell of slavianka. Btw, FH2 already used Sacred War in the 2.50 teaser. It might not be very original, i'm just a big fan of the Red army choirs. Like last time, I made some pictures explaining what the new maps are all about. Enjoy! On 12 October 1943, near the village of Lenino in the Mogilev Oblast, the Polish 1st Tadeusz Kościuszko Infantry Division prepared to enter action for the first time, under the auspices of the Soviet created "Polish Army of the East." This battle was supposed to mark the beginning of Polish-Soviet fraternity and strengthen combat association between their soldiers. Yet, with Polish morale low as most soldiers had only just been released from Soviet Gulags, and the promised Soviet armoured, aerial, and artillery support never showing, the Tadeusz Kościuszko Division would face a fiery combat debut against the battle hardened 113th and 337th Infantry Divisions. The Poles use the T70 light tank, the T34/76 M41, the PO2 bomber and the Maxim AA truck. The Germans have some new toys as well, namely the Faustpatrone (an early version of the Panzerfaust), the Stuka Kanonenvogel and of course the Ferdinand tank destroyer. Operation Bagration, the big Soviet summer offensive of 1944, is only 7 days old and Army Group Center is gripped by utter chaos. The remnants of defeated German divisions are streaming west, hoping to find a safe crossing over the Berezina river. Brushing aside stragglers and bypassing strongpoints, the 3rd Guards Tank Corps closes in on the village of Studienka, where Napoleon's Grande Armee made their desperate crossing more than 100 years ago. On the other side of the river, the first elements of the 5th Panzer division approach the same bridge, hoping to hold open a route of retreat for their comrades. A meandering, natural river curves through the center of this map, dividing it into two banks. Both banks feature Belorussian villages, characterized by small wood huts, straight roads and big private gardens. There are also wooded areas, which can be used by the infantry to ambush tanks and move around the map covertly. With the swampy area around the stream impossible to cross by tanks and even infantry, controlling the three crossing sites becomes of the utmost importance, especially the bridge in the middle. With its huge flagzone and no buildings or other cover it might seem easy to attack, but holding it can be really tricky, since there are no spawn points attached to this control point. Both sides receive large numbers of medium tanks and mobile artillery, leading to exciting tank duels in the foggy morning atmosphere. Overwhelming Russian armor and artillery meet Finnish defenders with anti-tank guns and Panzerfausts. 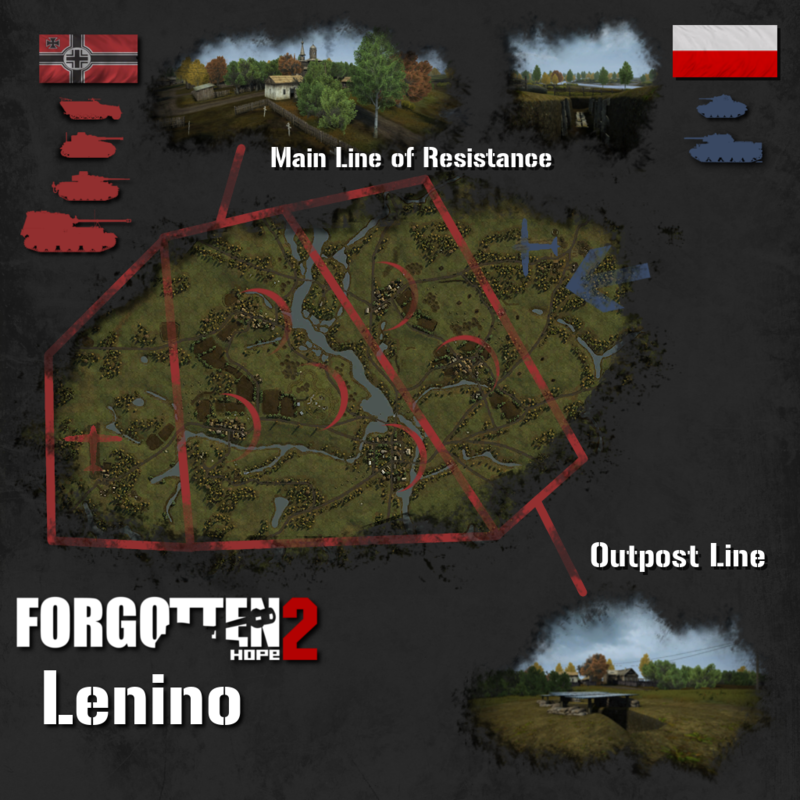 If the Red Army manages to cross the river and advance in this adaptive push map, the Finns will receive support from German assault guns as well. Air Power also plays a role in deciding who comes out on top in this blasted and destroyed battlefield, with Stukas hunting Russian tanks and IL2s trying to blast the Finns out of their trench systems. 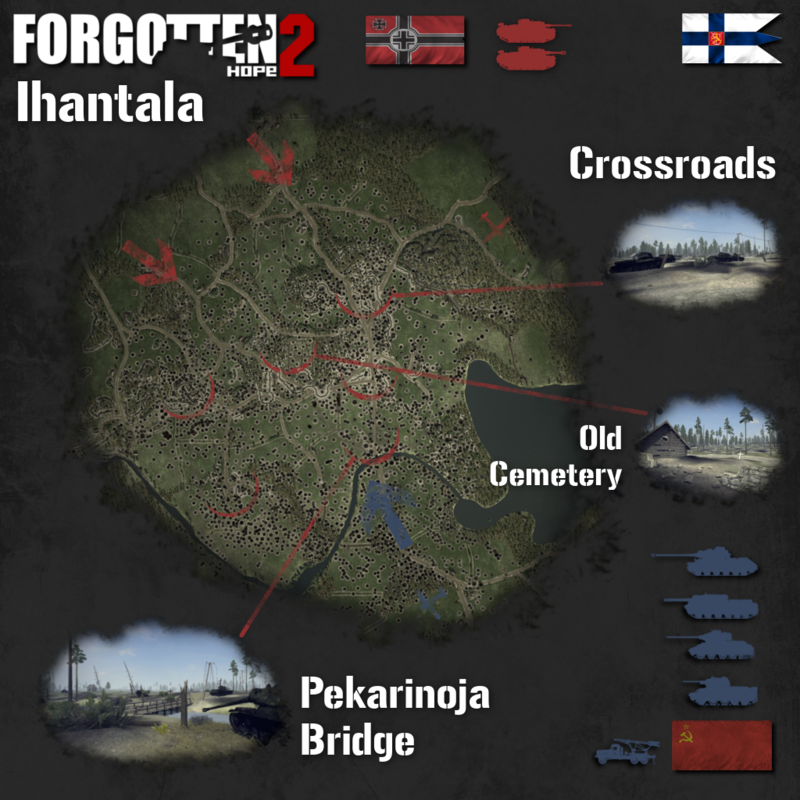 This map features all the new Finnish content, as well as new skins for German and Russian vehicles. After rupturing the German front and destroying army group center during the great summer offensive of 1944, Russian forces are pouring into eastern Poland. They seized several bridgeheads over the river Vistula, thus crushing German hopes of using it as a new defensive line. In an attempt to throw the enemy spearheads back across the Vistula, the Germans are massing their forces near the town of Staszow, including some of the new super-heavy Tiger II tanks. In this sector push map, the Germans are on the attack and have to clear three successive sectors. They are supported by two kingtiger tanks, but they will need them: The terrain is very open and as the attackers advance further, they face heavier and heavier Soviet armor. The Russians need to use mines, delaying tactics, cleverly placed antitank guns and their more maneuverable tanks to survive the enemy onslaught. 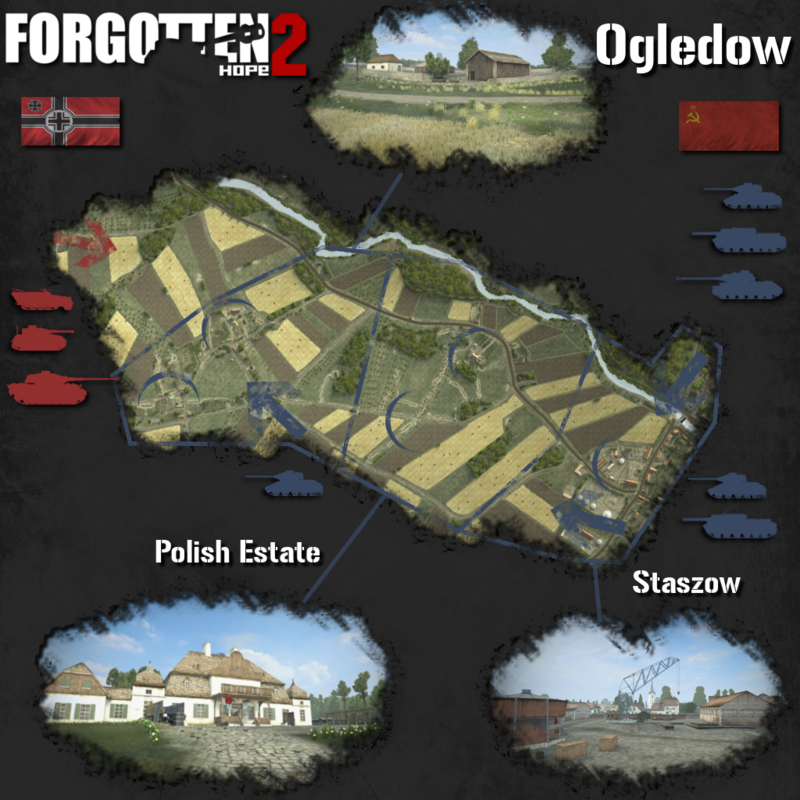 Featuring duels between the heaviest armor in this game, this map caters to the tankers especially. In the hands of artillery enthusiasts, the new 120mm PM43 mortar will bring death and destruction to the attacking Germans.